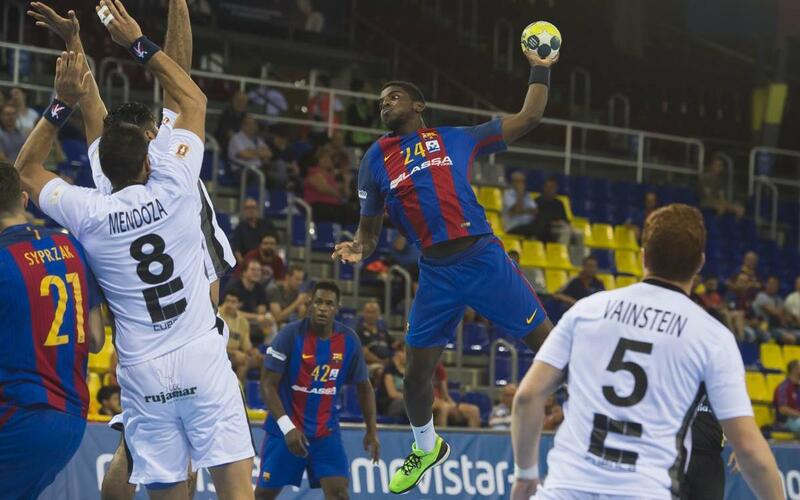 FC Barcelona Lassa handball were forced to battle hard to maintain their win streak, defeating Liberbank Ciudad Encantada 27-23 on Wednesday night. The opening exchanges was a signal of what Barça would be in store for, as Vainstein in attack and Ramirez in goal were making life difficult. The team began to click into gear towards the end of the half, as Víctor Tomàs’ goal on 23 minutes put Barça 12-8 ahead. Barça continued to find it tough to create some breathing space thanks to the good work by the opposition keeper, and by minute 40 the hosts were level (16-16). Andersson, Syprzak and Ariño sprang into action soon after to give the visitors a three-goal lead and despite a mini-revival from the hosts, Tomàs was on hand again to extend his side’s advantage to +4. The eventual 27-23 win in is Barca’s 110th on the troth, ending Week 19 of Liga Asobal as has become customary.